This entry was posted on January 24, 2018 at 10:14 pm	and is filed under Misc. 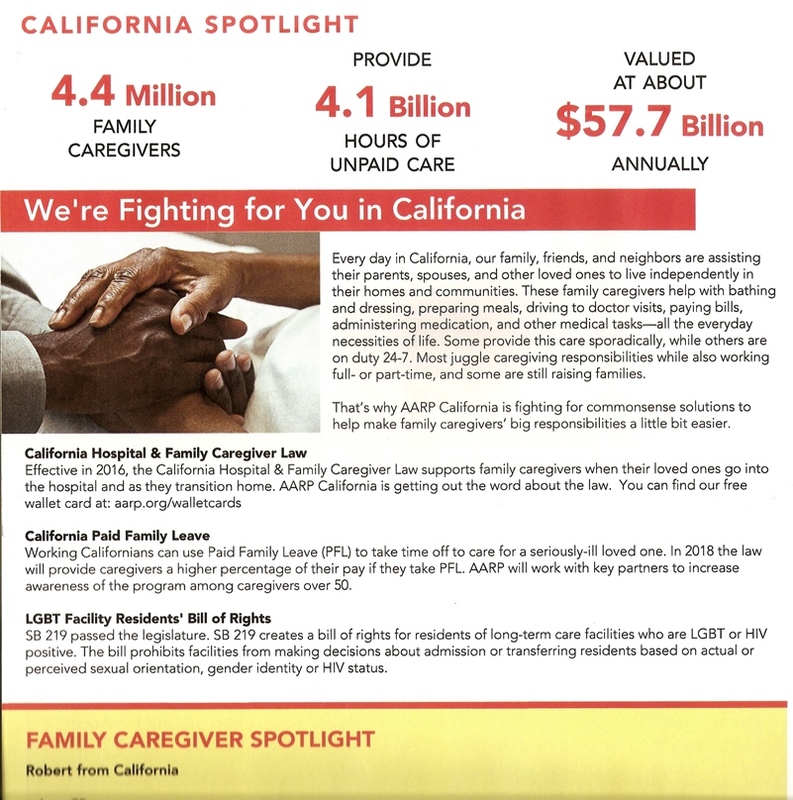 Tagged: AARP, and Transgender Long-Term Care Facility Residents' Bill of Rights, Assembly Bill 908, Bisexual, California Employment Development Department, California Hospital & Family Caregiver Law, California Paid Family Leave (PFL), Gay, Lesbian, SB 219, SB 675. You can follow any responses to this entry through the RSS 2.0 feed. You can leave a response, or trackback from your own site.